Join the olive installer club ! 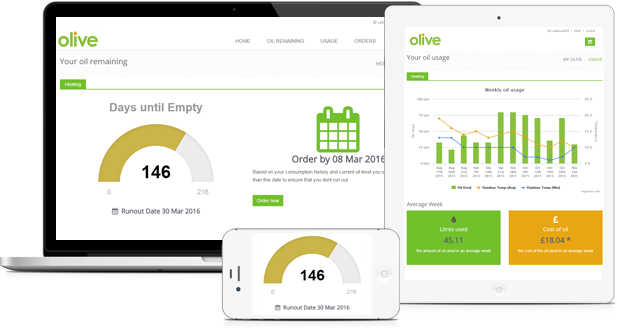 olive is the service for users of heating oil that is designed to ensure members never run out, remain smart and alerted AND save money. Simple to use and install olive will be a great add on to your oil customers and can provide you with additional revenue from the sale of the olive units, their installation and our exclusive olive installer club! Installation is quick and simple – attach an olive Sensor to your customer’s oil tank, plug the olive Hub to their home broadband supply and off you go. Members then simply login to their account at www.myolive.co.uk and see their oil usage in easy to read graphics and displays. Installation of the olives for customers will be charged according to your fees, however we estimate it should take no longer than 20 mins. When combined with services or planned visits the opportunities to make additional revenue are even more! Register for free as a member of the new olive Club you will be able claim rewards for all your olive smart sensor purchases as well as special trade prices. Every time you register an olive using the serial number and completing all required information, you will be rewarded with points. Installers start as a Registered Installer and points are gained for every olive you install. Gold installers are also entitled to points on heating oil purchases made by customers. Build an olive customer base and earn money. Free no obligation installer registration available now. 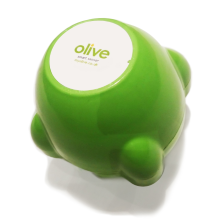 Collect enough points to receive a free olive = worth RRP £120.00.